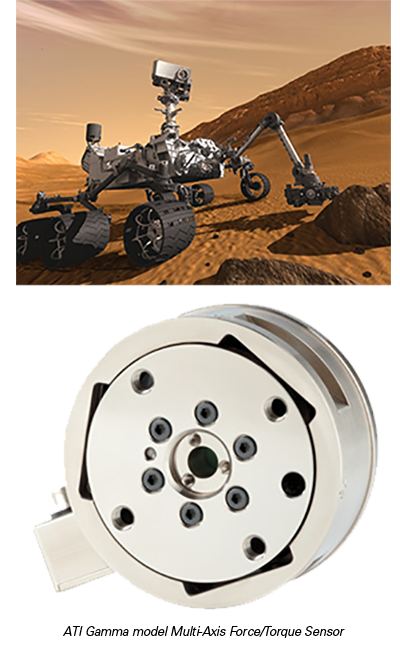 ATI Industrial Automation was recently selected by NASA to develop Multi-Axis Force/Torque Sensing Technology that can be used in space exploration, like the Mars 2020 Mission. Currently under development, this new technology will enable fabrication of a Force/Torque Sensor for the Mars rover's robotic arm. Sensor feedback would allow the arm to guide its coring tool into rocks and then safely place the rock samples in the rover's canisters. There are a number of potential NASA applications for this new Sensor, providing valuable force feedback to a teleoperated robotic arm on the International Space Station or for providing loading feedback for limbs in a humanoid robot application. ATI’s Force/Torque Sensor System measures six components of force and torque (Fx, Fy, Fz, Tx, Ty, Tz) and features a compact design, hardened stainless steel construction, high-speed output, overload protection, span temperature compensation options, and high signal-to-noise ratio. ATI offers a wide range of custom and standard sensor models from 17 mm to 330 mm and include environmental protection (IP) on most models. 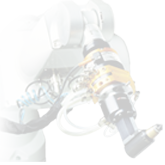 With over 20 years of robotic end-effector innovation, ATI’s engineering department, the largest of its kind for a robotic tooling company, is focused on developing cost-effective, state-of-the-art products and solutions. More information on other NASA Mars Rover missions here. View a narrated animation of the Mars Rover Curiosity here. More information on our Force/Torque Sensors here.